Product prices and availability are accurate as of 2019-04-19 09:30:41 EDT and are subject to change. Any price and availability information displayed on http://www.amazon.com/ at the time of purchase will apply to the purchase of this product. 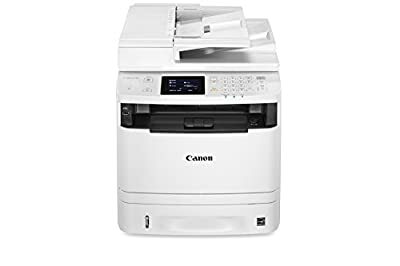 The Canon image class MF416dw all in one printer has print, scan, copy and fax capabilities so you can accomplish all necessary tasks with just one machine. Your professional quality documents are printed at speeds of up to 35 pages per minute in black and white with a quick first print time of 6.3 seconds or less. Eco friendly, all mode duplexing right out of the box allows you to save on paper and related costs. The MF416dw has built in Wi-Fi direct capability, enabling easy connection to mobile devices without a router. The MF416dw is equipped with a variety of easy to use mobile capabilities for printing and scanning on-the-go using your compatible mobile device, such as apple air print, Mopria print service and Google Cloud print. 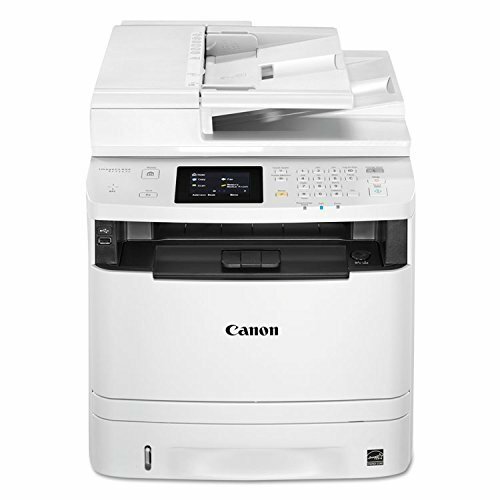 The Canon print business app allows users to print to and scan from the device to compatible iOS or Android devices. With NFC technology, you can easily "touch and print" to the MF416dw using your compatible mobile device. Password protected department ID management helps business owners manage device usage for up to 300 IDs. Secure print helps keep confidential documents safe. Using USB direct print, you can easily print from and scan to that USB in JPEG, tiff and PDF formats. 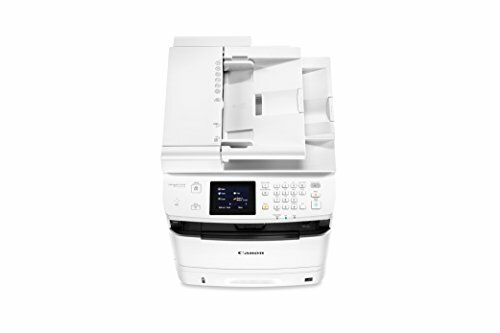 The MF416dw also supports host-based ufr II, Pcl6, and adobe postscript languages to provide printing versatility. The intuitive 3.5-Inch touch LCD display allows users to navigate through the menu seamlessly. The 3.5 inch wide screen and color display is user friendly and easy to read. With the front-loading 250-sheet paper Cassette, 50-sheet dadf, 50-sheet multipurpose tray, and additional optional 500-sheet paper Cassette (pf-44), your paper handling requirements are covered. The MF416dw uses only 2.2 watts or less of energy in wireless, energy saver mode, helping you save money on energy costs. This machine uses Canon genuine toner, cartridge 119 and cartridge 119 II for higher volume printing. Print at speeds of up to 35 pages per Minute1, with your first Print in your hands in 6.3 seconds or less. 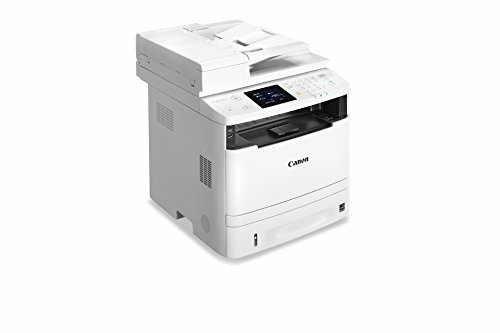 Touch and Print with near field communication (NFC) using your Compatible mobile Android device Print and scan on the go with Canon Print business, apple Air print, Mopria Print service and Google cloud Print. Easily connect your mobile devices without a router using Wi-Fi Direct connection. Secure Print helps protect the privacy of your printed documents.